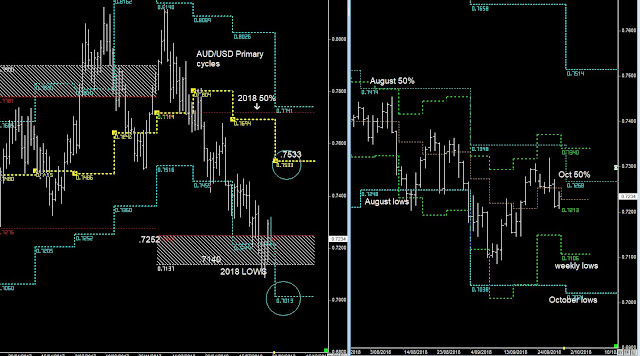 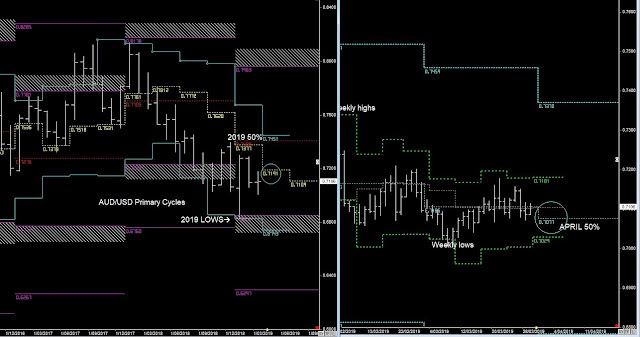 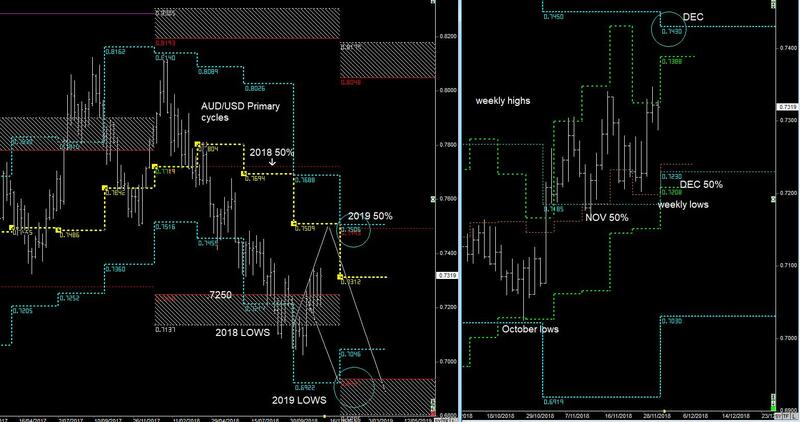 As per previous Report, the Weekly lows were seen as support, simply because we believe the AUD is rising after completing it's 2-wave Primary cycle down into the 2019 lows at the start of January. 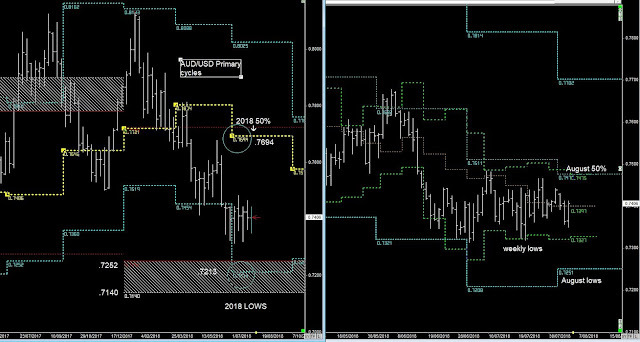 For the Australian dollar to move higher it needs to remain aobe the April 50% level @ .7077. But we might see some selling in early February down towards the Feb 50% level and Weekly lows before it goes higher. The Flash Crash earlier this week completed the move down into the 2019 lows. 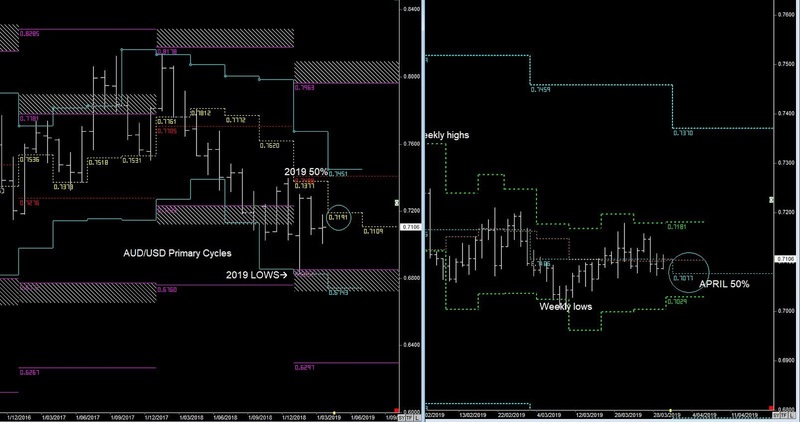 However, in the Weekly cycles there's a breakout pattern to the upside, that could see more gains to the upside, as it goes looking for the 2019 50% level. Expectation that the AUD would counter-trend upwards will likely to continue towards the December highs @ .7430 and as high at .7529, as it aligns with the 2019 50% level. Even though there's an expectation that 2019 will push lower, as part of the 2nd wave in Bear trend, there's always a possibility there will be a Secondary counter-trend move against the Primary trend. There is a resistance level around the Monthly 50% level and Weekly highs @ .7470/75, with the expectation that's it will continue to trend downward. 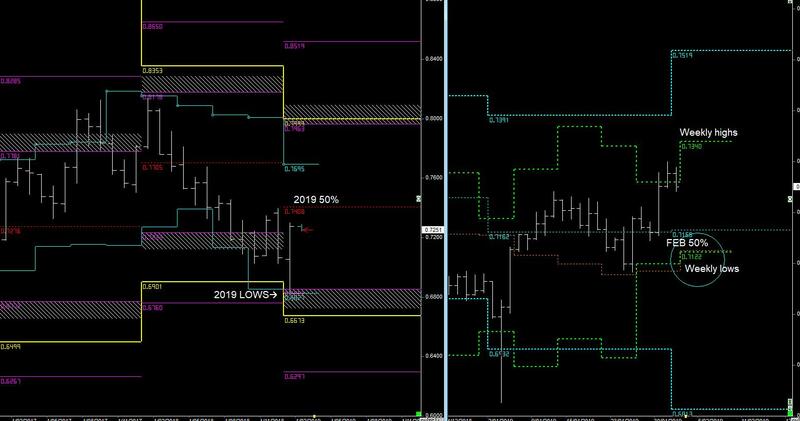 Any rise upwards is still part of a PRIMARY trend that looks to be heading further down in 2019. 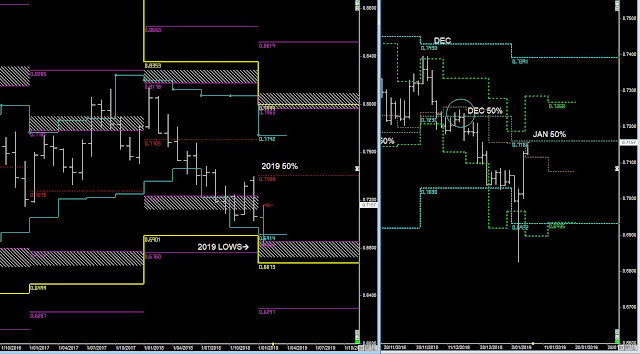 That counter-trend is up towards .7694 & 2018 50% level. 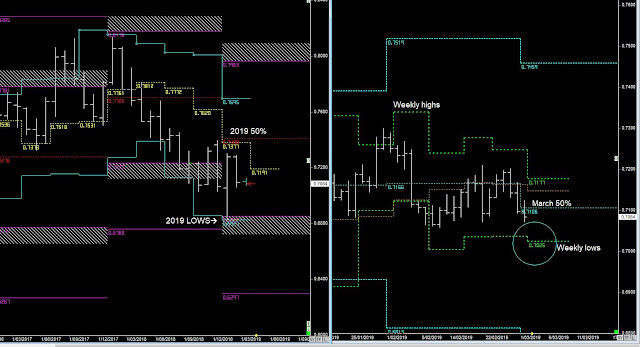 Therefore don't be holding shorts above the .7475 and this same level can be used as an intra-day support zone if looking to capture a move upwards. If it does continue down into that level in the early part of July, look for a counter-trend move upwards.